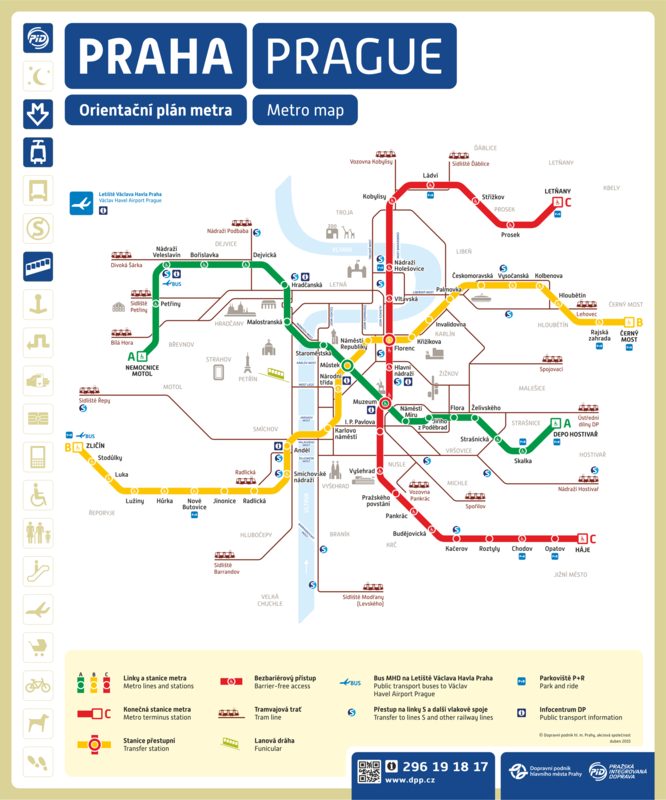 Transportation Public transport Prague has an extensive, well-functioning public transportation network; its central axis is formed of three underground lines (colour coded and labelled A, B and C), plus trams, buses, ferries and the Petřín funicular railway. The metro operates daily from 5:00 to 24:00. Night service is provided by trams and buses. 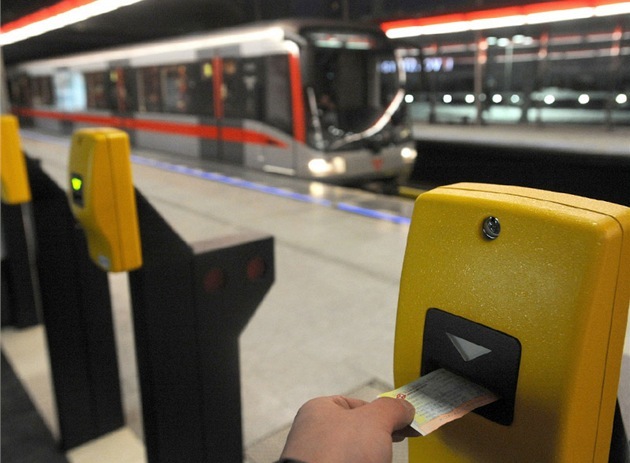 Prague Public Transport Fares Travelling by public transport is only possible with a valid ticket. Tickets are time based so you can travel on any of the different types of transport in the city, hop on and off within the ticket time. Passengers must obtain a ticket prior to boarding the vehicle or before entering the paid area of the metro station, these are available at newsagents and other shops plus at machines in metro stations and at some bus/tram stops. They must be validated at the start of the travel period using the special machine found at the entrance to all metro stations and on buses or trams. Failure to validate a ticket could result in a fine.